The best thing about a surprise is the anticipation that builds when you don’t know what it is – right? Ahhh… That wonderful feeling of knowing you have a something really special coming your way and the excitement that builds as the contents are finally revealed. On Cyber Monday 12/01/14 (12:01 am – 11:59 pm EST), Zoya captures that special feeling with THE ZOYA CYBER MONDAY MYSTERY *. 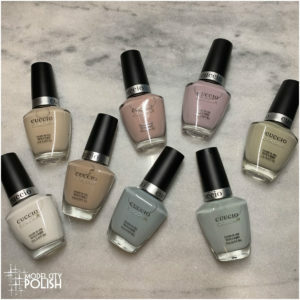 This special mystery grouping of items, from your friends at Zoya Nail Polish, is just $15 (plus FREE SHIPPING). We can’t tell you what it is except to say that when you see it your will say“Wow, that was one heck of a deal!” – Zoya guarantees it. All we can say is that it is a bag and box in a box – we promise you won’t get any socks and we won’t send you a fox (no matter what he says)! 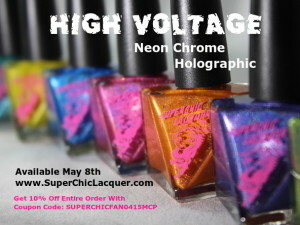 $15 (US) includes free shipping. Want to shake the box and figure out what it is? 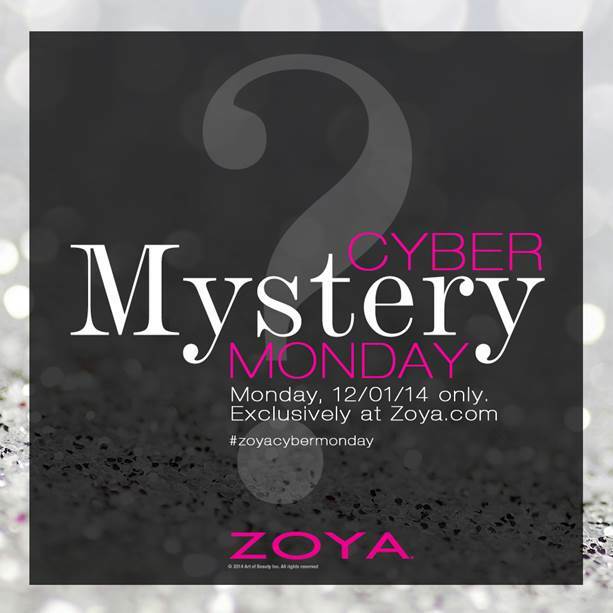 Contents of the Zoya Cyber Monday Mystery will be revealed on Tuesday (12/02/14). Or you can wait until it arrives (if you can stand the anticipation). Valid online at www.zoya.com 12/01/14 (12:01am EST) – 12/01/14 (11:59pm EST). US Only. 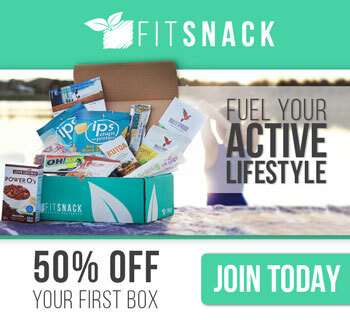 Not valid in conjunction with other coupons, codes or promotions. 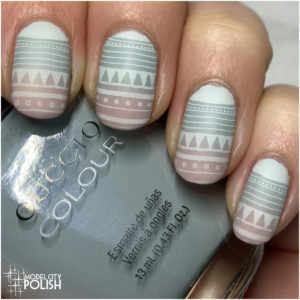 Art of Beauty is not responsible for incorrect addresses, credit card entry errors, web related issues or any errors associated with declined credit cards. Returns or exchanges of promotional items not permitted. Code must be entered at time of purchase. One code per account – code cannot be reinstated for canceled orders.